The May 26th exhibition opening for "PRÊTS À ACCROCHER" was a success and we are pleased to announce four sales of Sallie's works, including the painting "The Egg" featured in the email invites. Sallie Whistler Marcucci will be part of a two-artist exhibition titled "Prêts à Accrocher" - held at Sixty29 Contemporary in Culver City, California starting at the end of May. 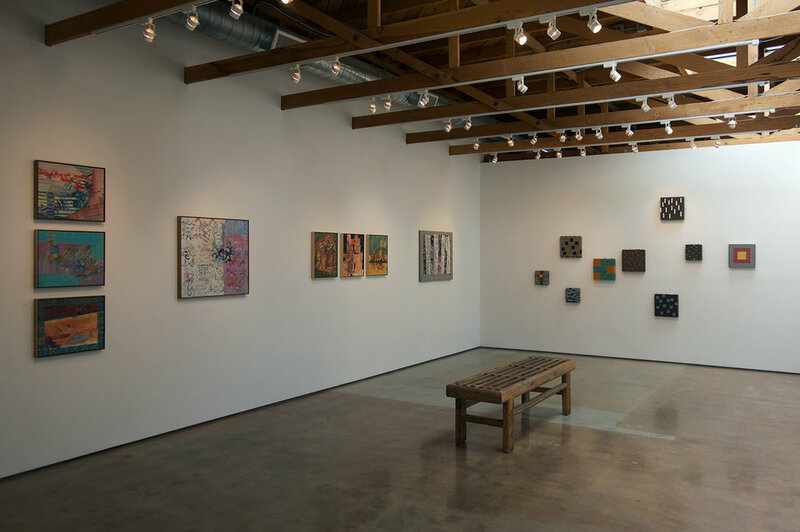 The exhibit is curated by Pranay Reddy and features a selection of her small to medium “ready to hang” paintings (prêts à accrocher) paired with the sculptural works of artist Carlo Marcucci. Sallie Whistler Marcucci will attend the opening reception on Saturday, May 26, 2018, from 4 to 7 PM. Three of Sallie Whistler Marcucci's vignettes will be part of “STRIP: Caricatures, Satire and The Funnies” - a group exhibition held at The Studio Door in San Diego, California, featuring a selection of original comic strips and pop art from independent voices of the comic strip world. The other artists in this exhibit are Gary Aagaard, Lauren Berley, Thayer Bray, Maclovio Cantu IV, Brittany Ellis, Eric Garcia, Wes Hardesty, Michael Koerner, Alberto Lopez, Kathleen McLaughl, Chris Smith and Richard Smolinski. The exhibit is curated by Javier Hernandez, DIY Cartoonist (Creator of El Muerto, The Coma and Weapon Tex-Mex), Los Comex Publisher and Co-Founder of Latino Comics Expo.